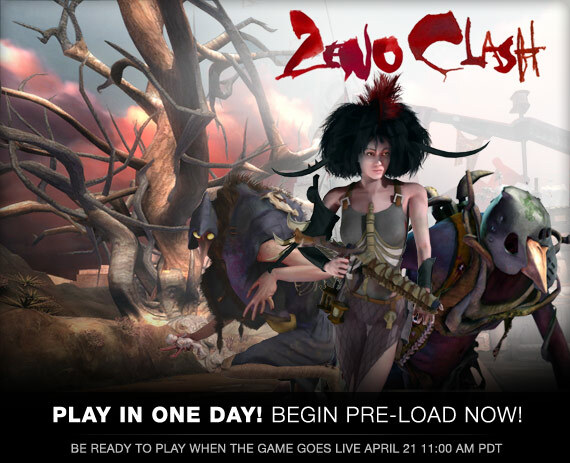 Post news Report RSS	Zeno Clash is Pre-loading now! The pre-load process has begun! Make sure you get the assets now if you want to start playing the moment it goes live tomorrow. Begin downloading now so you can start playing when the game is unlocked on April 21 11:00 AM PDT. Zeno Clash is just around the corner! Less than 24 hours left to launch! I thought this game was already released ?? Ah well. Stupid Steam. Just let me buy the game would you? This isn't a mod this is a game, if this were a mod every game would be a mod. And plus this is listed under the game section on modDB. And also just because it's for source dosn't mean it's a mod, you can buy source licences. You aren't one for realizing subtle distinctions are you? You can only do so much with a mod, you can't change the core game. This just happens to share the same engine. If this is a mod, so is everything that has been produced on the UT3 engine & labeled a new game. Dark Messiah is called a game, it's also built on the Source Engine, same with this, mods don't have access to the game engine, game developers that pay for the source engine license CAN access the game engine, also mods have the requirement you need to own the game it's made for, since you don't need HL2 or anything like that to play Zeno Clash it's a game. Mod meaning modification of something, therefore if it is based on existing something and being modified from it, so mod means modify? But if something is made from scratch on its own, then its a standalone or, i'm i wrong? Mine is here, just waiting to unlock. This may make me sound crazy but I have been putting off the pre-order because Steam is having a discount for the game ($14 instead of $20). However I actually want to give the ACE team the full price for this game because I absolutely love the amount of time and work they have put into this game. So I have been waiting for the game to go back to regular price before getting it but it hasn't yet.